the new goal is 3 of these when they release. https://www.lenovo.com/us/en/accesso.../p/DD116LPY27G even if they only release in 27. Last edited by skupples; 03-05-2019 at 03:23 PM. 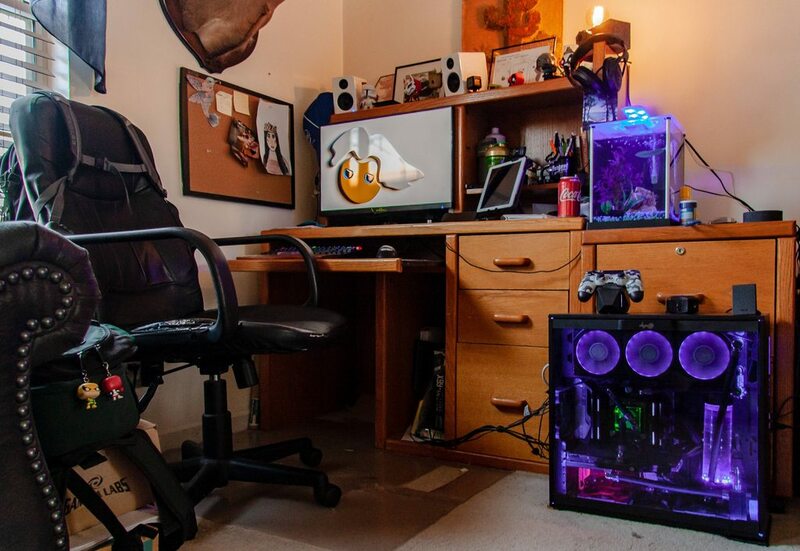 nice build and room girl! Looks great, love the wallscrolls and figures, we'd probably have a lot to discuss (if you saw my earlier pics of my game room). Been watching anime for... 27 years now lol. Slowly learning the language as well, I'm at "enough to communicate as a tourist but probably still equivalent to a Japanese preschooler" level now. Subscribe to the OCN Youtube channel! Lets make it big just like our folding team and everything else we do! Logisys red LED "Meteor Light"
Case badges Frozencpu "Intel i7", "Republic of Gamers", "EVGA"
First time posting pics down in my shop. Just upgraded one of the PCs with a 9400f and b365 from ASRock. There is more to see, but its just storage and another large table. No high end hardware, just stuff that works. My gaming/editing rig is in my office upstairs... I believe I already posted it. Join [email protected] and save lives! I'd 100% have my office in the basement if I ever have a basement again. I used to have it down there, but it gets cold in the winter and the lack of sunlight was getting to me. And yeah, basements are nice to have. When I bought my house, I basically traded a decent garage for a usable basement. I don't get a choice anymore, unless I want a glass bottom house. So, the goal is garage, & shed @ the next house. If you ever want to chat about anime / games / etc, shoot me a PM! I'm always open to making new friends. Re-organized the setup, can't wait to get my new house so I can setup my office again. .